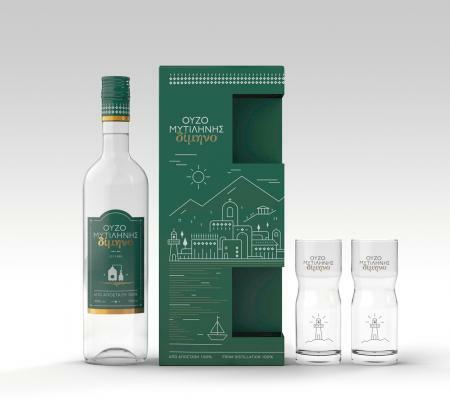 Ouzo Dimino is a two-month aged product from 100% distillate, without added sugar. It is described as gentle and rounded, with a full and long lasting flavour, with an intense presence of anise and crystal clarity that leaves an unremitting sensationon the palate. The heart of the ouzo distillate of Dimino matures for two months contributing to its unique and stable flavour for the ultimate enjoyment.Every drop reaching the palate captures the right amounts of seed and herbs aromas mainly grown on Lesvos Island. The dominating aromas of Lisvori aniseed, the freshness of citrus, the spiciness of ginger, salt from the salt pans in Kalloni ally for slowing down the distillation boiling, drenched with passion, love and other small secret touches, complete the canvas of ouzo “Dimino”.This beloved ouzo is recommended with appetizers, leaving your head clear the next day. 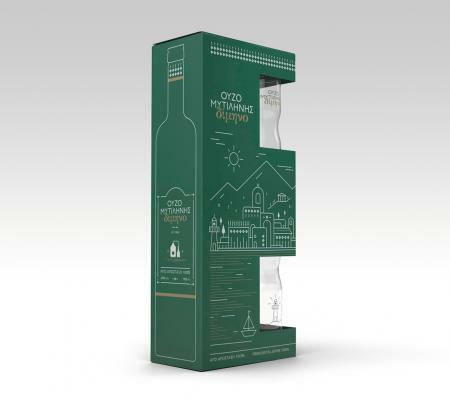 The simple bottle design alludes to the simplicity of the Greek “national drink”. 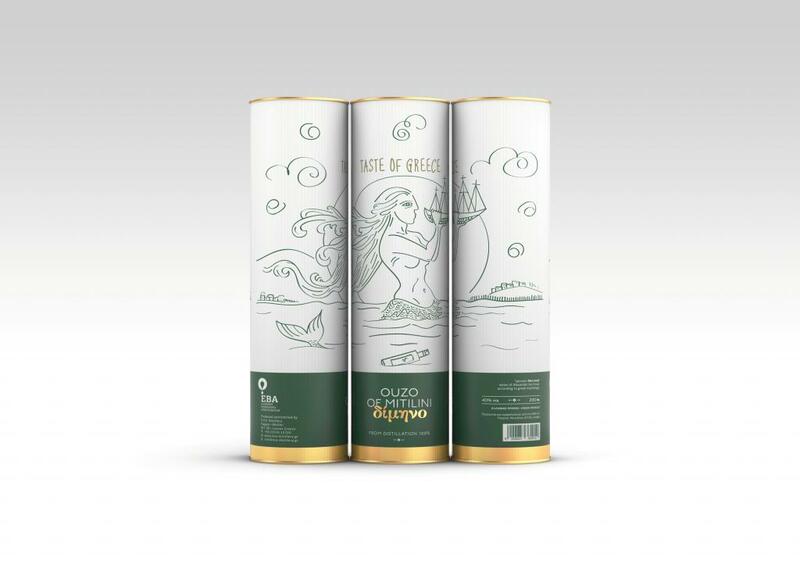 The green background of the label symbolises the aromatic plants of the Lesbian land, distilled for its production, while the illustration of the traditional copper still complements the identity of the traditional production process. 50, 200, 700ml & 1 lt 40% vol. Ouzo loves the sun, tasteful “meze” and good company. Small bites, sharp (spicy) and appetizer flavors. “Meze” is a selection of small dishes served to accompany alcoholic drinks like ouzo as a course or as appetizers. The key element of Ouzo-meze is variety. The contrast and the richness of flavors are necessary to have the best ouzo- experience. An “Ouzo-meze” may consist of seafood dishes such as grilled octopus, satled fishes such as sardines, lakerda or kolios. All may be included, along with fresh salads, fava beans, grilled cheeses, called saganaki and olives. Do not forget to try steamed shellfish and sea urchin. Serve Ouzo Dimino with cold water (50-50) in a small glass and add ice cubes! An integral component of the ouzo culture is the famous aniseed from Lisvori. 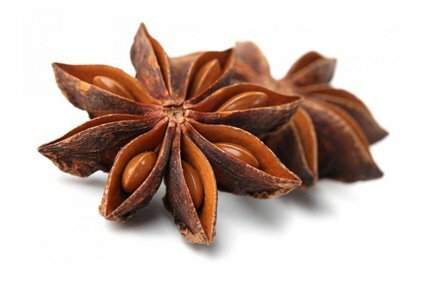 The anise, which flavours the ouzo of Mitilini, making it special and sought after, is cultivated in Lisvori, a village on Lesvos Island. A comparative advantage in its cultivation is the microclimate of the area, the fertile land of Lisvori, the proximity to the Gulf of Kalloni and the dedicated producers. EVA trusts Nikos Thermiotis and invests in personal contact with the producer, monitors, records and supports the cultivation of his fields at all stages from ploughing, sowing, manual weeding to harvesting.